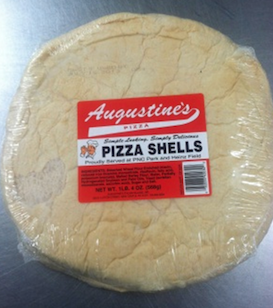 Sort through the items below to see what Augustine’s Pizza has to offer! Two Pizza Shells by Augustine's Pizza. 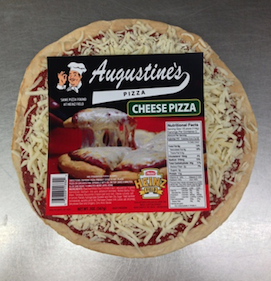 The Cheese Pizza by Augustine's Pizza. 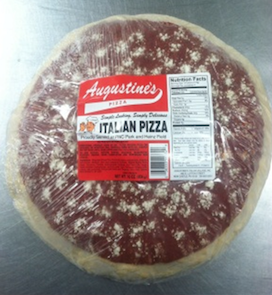 The traditional Italian Pizza by Augustine's Pizza. 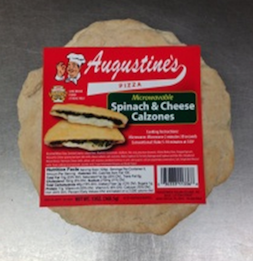 Spinach & Cheese Calzones by Augustine's Pizza. 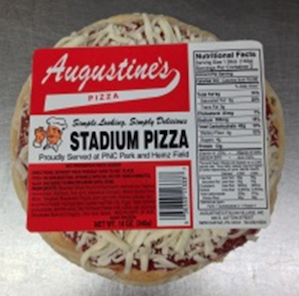 Stadium Pizza by Augustine's Pizza. The same Pizza served in PNC Park, Home of the Pittsburgh Pirates. 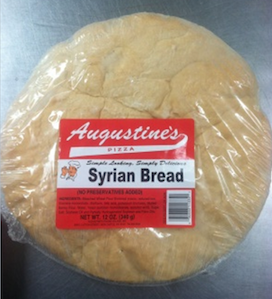 Syrian Bread by Augustine's Pizza.